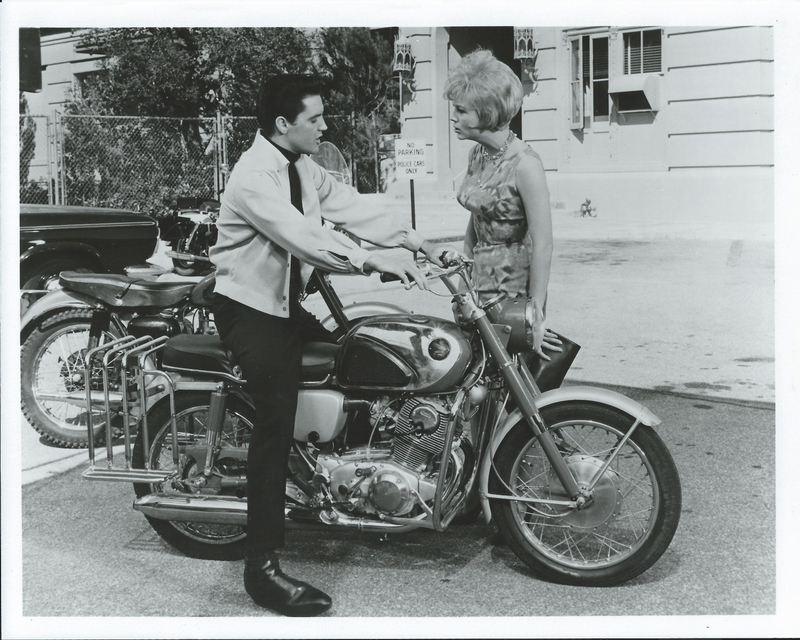 In one scene of the 1964 MGM release of Viva Las Vegas Elvis was pictured riding a Honda CA110 Sport 50 (Honda 50) and later in 1964's Roustabout he rides the larger 1963 Honda 305 Super Hawk. 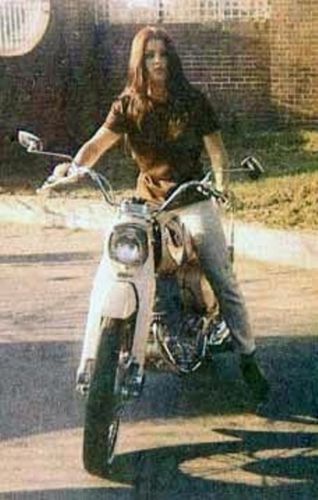 Though his personal preference was normally a Harley-Davidson FLH, he did own a Honda of his own, and also bought one for his future bride at the time, Priscilla. 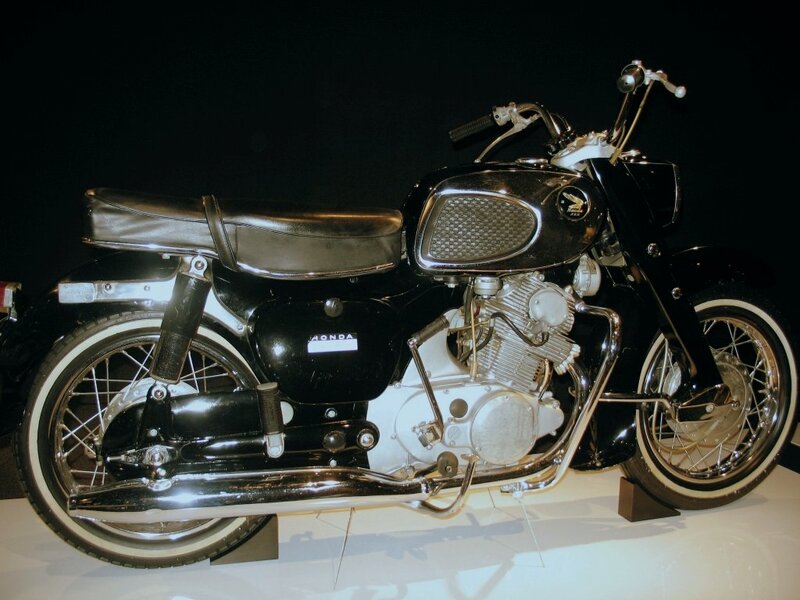 Honda Dreams weren’t exactly high-performance motorcycles, but then they weren’t designed to be. 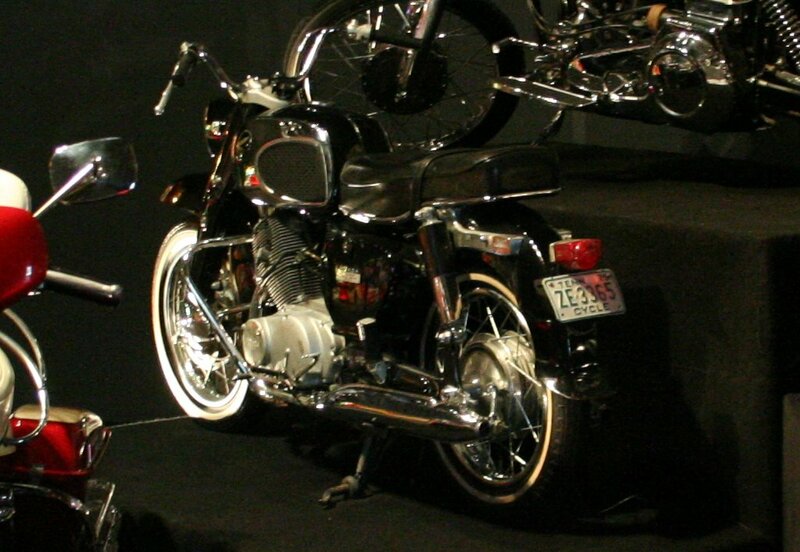 The Dream emphasized other elements of Honda’s approach to motorcycle-building. It was inexpensive to own, unintimidating to ride and reliable to maintain. While those qualities may not have attracted a lot of traditional motorcyclists, they struck a chord with a new generation of riders interested in fun on two wheels. 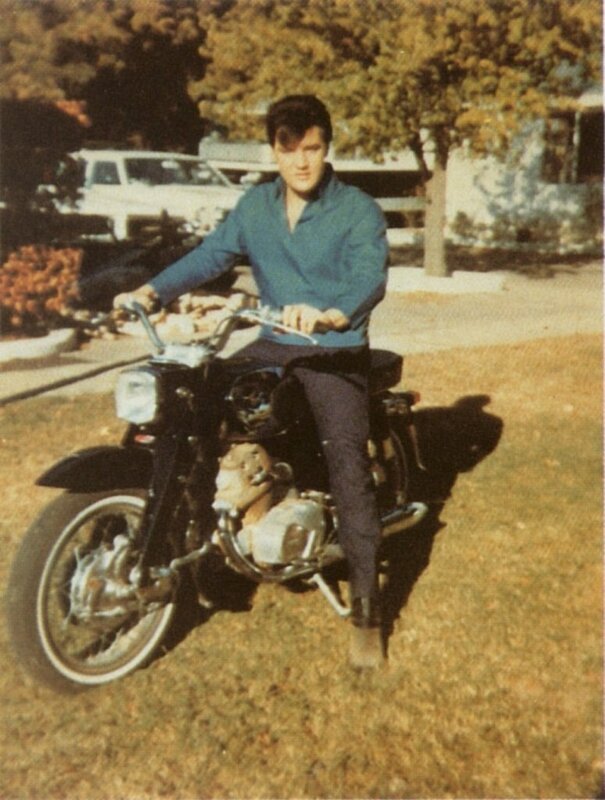 On that score, the Dream hit the mark.5 One can only speculate that Elvis might have bought one to keep back with Priscilla. Hers is gone but Elvis' is still part of the collection at Graceland where it is regularly on display. At some point a crash bar was added to it. 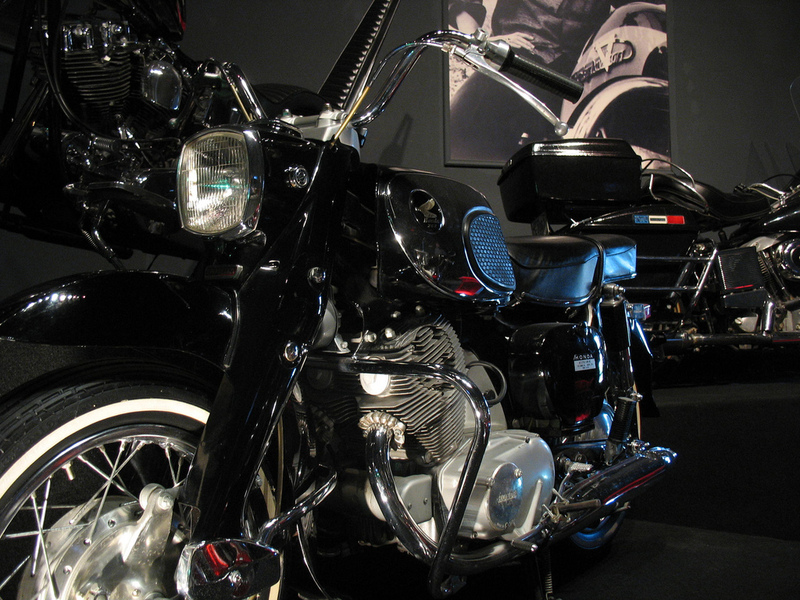 In 2005, however, it was on loan to the Art of the Motorcycle exhibit that ran at the Pyramid from April 22nd to October 30th that year. * It should noted that we are only assuming the model year as 1965 based mainly on when we think Priscilla's may have been acquired. 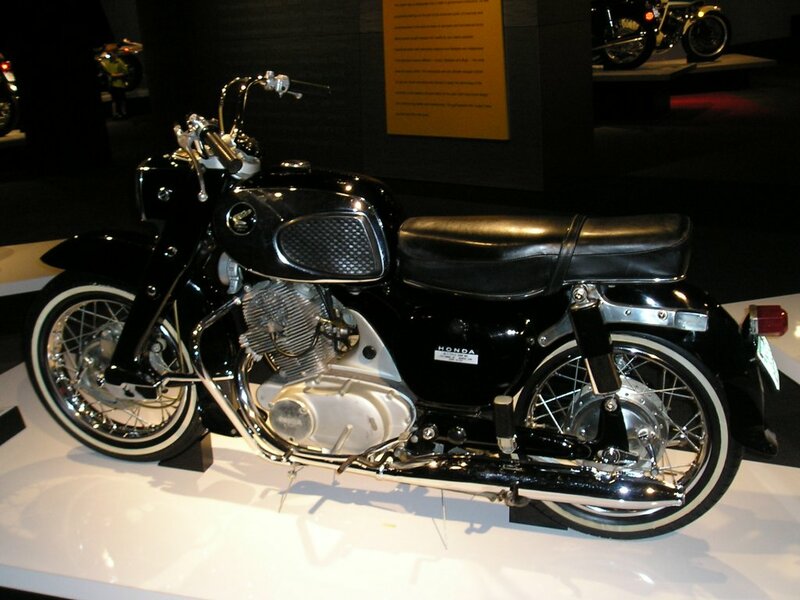 As mentioned above the model years are visually indistinguishable and according to Corey Bourassa of the Antique Honda Shop in Lowell, Massachusetts, Honda often titled their bikes the year they were sold with several often carried over to the next model year. The preferred method for accurately dating them is the engine number on the top of the clutch case and/or tags on the wiring harness, neither of which we have access too. 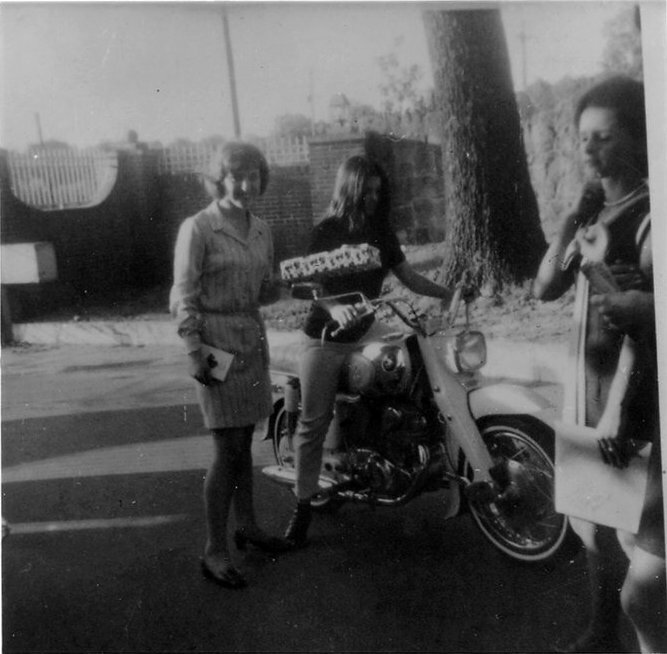 Suffice to say that both Elvis and Priscilla had mid-60s Honda Dreams.